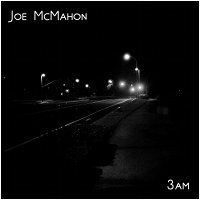 After a long time away, Joe McMahon returns to Earth Mantra with a brand new album entitled 3AM. Folks, we have a real treat in store for you today. Fans of Earth Mantra will remember Joe's magnificent 2009 Earth Mantra release Ocean Music, a study in minimal ambience and the gray area between tonal and abstract music. Like Ocean Music, 3AM retains Joe's signature attention to detail and his minimal aesthetic. Unlike that release, however, in 3AM Joe explores the realms of tonal music, delivering a remarkably poignant and musically satisfying collection of ambience that we think our fans will love. We have always been blown away by how Joe can take such modest sounds and transform them into utterly gorgeous vistas and three-dimensional sound sculptures. In 3AM, he continues this pattern, combining acoustic and electric piano with delicate digital instrumentation and lush field recordings, creating a reflective feeling of tranquility, introspection, and melancholy. Suitable for both active listening as well as creating a background mood, 3AM is the kind of album that we want to hear again and again. Thematically, Joe presents us with a journey through the dark hours, a contemplative late night stroll through the sights and sounds of the quiet city while pondering the deepest questions and the greatest mysteries. One can put on headphones while enjoying 3AM and imagine the scene, the street lights humming in the astonishing silence, the traffic signals switching with no cars anywhere in sight, the low-hanging clouds drifting silently through the buildings unobserved by anyone. But this is not a mere still life, nor is this the kind of soothing ambience that will put you to sleep; Joe has infused his work with such emotion, such restrained drama, that we found ourselves following alertly alongside him in his wanderings through the city, seeing the things he sees and feeling the things he feels, as he captures these muted snapshots. Remarkable and beautiful music, composed by a truly gifted musician. So with great pride, we unveil 3AM, the latest release by Joe McMahon on Earth Mantra, and one of the most subtle ambient releases yet in 2011. Highly, highly recommended. Hypnotic, beautiful work. The lovely mellow tones open way to a soft, warm introspection contrasting the chill of the night - a space you'll want to revisit time and time again.